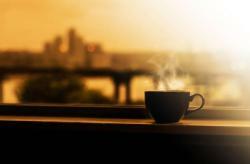 The way to you start off your morning may have a big impact on how the rest of your day proceeds. Unfortunately, too many of us don’t take our mornings seriously. Instead, we sleep until the last possible moment, grab a bite to eat or a cup of tea or coffee, and then run out the door. Below are several suggestions for improving your mornings and getting your day off to a positive start. It may not be possible to incorporate all of them into your mornings, but even incorporating just a few of them will have positive impacts. It seems so obvious, and yet so many people ignore it. After sleep, during which you stay mainly sedentary for hours, taking the time to slowly move your muscles will be a satisfying start to the day. You can do this in bed, using a simple stretched-out-legs-and-arms-overhead movement, or you can practice whatever feels right for you. Water with a fresh lemon squeezed into it has numerous benefits, but you need to drink it as the first in the morning. It starts your metabolism, which burns fat while sustaining muscle, cleanses your mouth and throat, and gives you a boost of energy. Lemon water cleanses and stimulates the liver and kidneys. Lemons have lots of Vitamin C, which helps to protect you from catching a cold. Try to drink a teaspoon of linseed, olive or pumpkin oil 10 minutes before breakfast. This is the best way to detox your body. The oil will remove all the excess from the body, so in a few months you will be able to lose weight by 2-5 kg, without any effort. Breakfast is the most important meal of the day. You’ll be less hungry throughout the day, have better focus and concentration and have more energy. During breakfast or after it, eat a teaspoon of honey and drink water. Honey must be natural. It is a source of vitamins and microelements, which gives the body energy, improves brain activity and increases efficiency. Facial massage will strengthen blood circulation and serve as a good tool to help wake up. You need to start from the forehead and fall to the chin, clicking on various points or by patting the skin with your fingertips. Such procedure will give the skin a healthy blush. The best time for work out is the morning. Your body has a feedback mechanism, called “endorphins”. Every time you start your day with a good workout, you will have a rush of endorphins and therefore a good mood and well-being, which usually lasts until evening. Start your day with stillness by meditating in the morning. meditating does everything from improving your focus to reducing stress, improving emotional stability, and preventing common health ailments. You can start simply by focusing on your breath for three minutes each morning, and build from there. Let the spray beat on your back. It’s simultaneously relaxing and energizing, like getting a water massage. You will not only fully awake, but also energize. 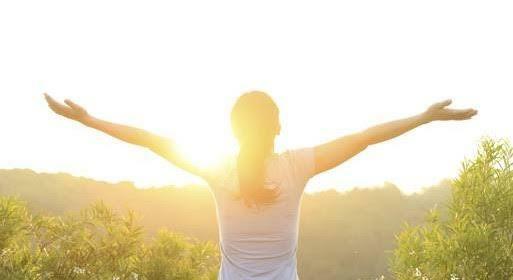 Sunlight causes joy, a rush of energy and vivacity, stops the production of melatonin, the hormone responsible for sleeping and increases the level of serotonin, a hormone that elevates mood. If you have to get up in the dark, you must turn on the light immediately. Try not to stuck in a rut and make your life better, brighter and more interesting!